An IBC company in Seychelles is the most profitable and adaptable type of offshore company available in the insular state and which guarantees 100% privacy. There are numerous businessmen worldwide who are interested in setting up an IBC offshore in Seychelles and benefit from the advantages of such entity, one of them being related to the anonymity offered. Our company formation agents in Seychelles can help investors and entrepreneurs open anonymous companies in Seychelles and any other type of company available in this jurisdiction. • resolution of subscriber and manager in writing. • applying for the necessary business licenses, depending on the industry the company will operate in. We can help with the opening of a bank account for your anonymous company in Seychelles. • one of the shareholders can act as a company director in a Seychelles company. What are the advantages of an anonymous company in Seychelles? Seychelles is a respected offshore jurisdiction, where numerous businessmen decide to open IBC companies in order to protect their assets. Among the advantages of an anonymous company in Seychelles, we remind that such entity is not subject to VAT, corporate, withholding, capital gains, or personal income taxes. The revenues derived outside of Seychelles are not taxes. An anonymous company in Seychelles can be established by at least one shareholder which can also be the director of the firm. 100% foreign ownership in the company is among the important advantages of investors in Seychelles. There are low costs for opening an anonymous company in Seychelles and minimal reporting requirements meaning that there is no need for an audit or for tax returns. Also, the stocks of an anonymous company can be transacted in Seychelles or outside this jurisdiction with no restrictions in this sense. You can address to our team of advisors and ask for support if you would like to set up a company in Seychelles. Are there any exchange controls? No, there are no exchange controls for anonymous companies in Seychelles, no fiscal incentives and low government fees at the time of registration. Investors should bear in mind that an anonymous company in Seychelles can have nominee shareholders and directors, a matter where our team of company formation representatives in Seychelles can help. Why open an anonymous company in Seychelles? Investors who want to set up anonymous companies in Seychelles will benefit from the complete privacy of their assets, businesses, and names. Such companies can be used in the trading sector, estate planning, financial management, for tax avoidance or for the leasing of other assets. Seychelles is a reputable offshore jurisdiction which can be chosen by foreign investors who want to establish an anonymous company in Seychelles. Because there are favorable tax laws and a series of double taxation treaties that protect the companies from paying the taxes twice, Seychelles is the proper business destination for many foreigners. The privacy of investors is protected by the substantial banking confidentiality in Seychelles. Also, it is good to know that the names of the directors of the anonymous company in Seychelles are not displayed to public disclosure. 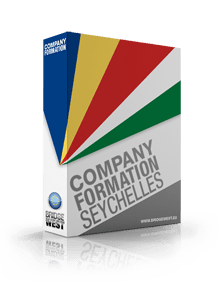 If you plan to set up an anonymous company in Seychelles, one of the numerous offshore jurisdictions worldwide, we suggest you get in touch with one of our company formation consultants in Seychelles.